McALLEN — Division I volleyball scholarships are hard to come by in the RGV. 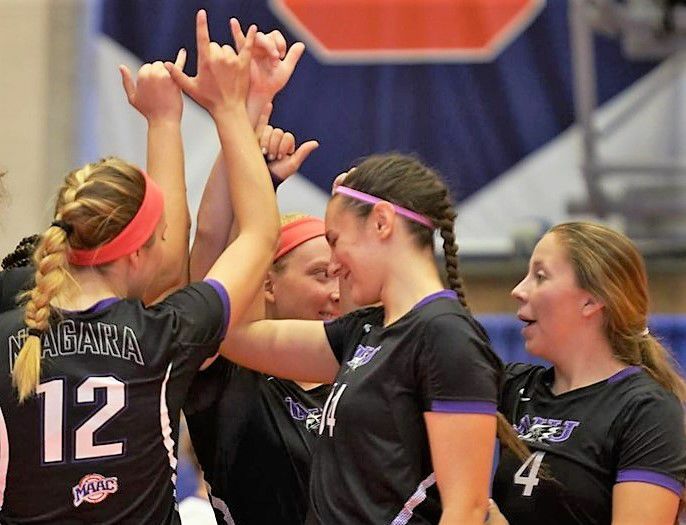 So, when Niagara University came calling with a full scholarship in 2016, former McAllen Memorial all-district and All-Valley volleyball star Draik Banks knew it was an opportunity she could not pass up — even if it was nearly 2,000 miles and a world away from the RGV. Niagara is located on the Niagara River and Canadian border just outside of Buffalo, New York. You can hear the Niagara Falls from campus, and snow falls by the foot. 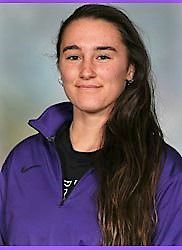 Banks, a sophomore middle blocker for the Purple Eagles, said relocating from one border to another was a bit of a culture shock. But what Banks has grown into is her role on the team. After playing in just half of Niagara’s sets last season and recording 35 blocks and 46 kills, Banks is demonstrating how much she’s improved in one year. Through only 11 games this year, the sophomore leads the Purple Eagles with 34 blocks, and her 59 kills are tied for fourth best on the team. She has also played every set so far, a testament to her improvement and offseason work. Banks also said that Niagara’s coaches and staff have helped her grow “exponentially” since her arrival. “Playing for Memorial and my club (South Texas Lightning, RGV Venom) forged the backbone of the player I am, but being up here sharpened me into what I am today,” Banks said. She added that playing middle blocker is challenging, and she’s learned that defensive discipline is a big key to being successful and in helping the team win games. And so far, it’s working. The Purple Eagles won two Metro Atlantic Athletic Conference games over the weekend, including an important victory over Rider University. Niagara is 2-0 in league play and 6-5 overall. Banks had 12 kills and led Niagara with five blocks against Rider. Also in the MAAC is Fairfield University. That’s where friend and former high school rival Mayda Garcia, a McAllen Rowe grad, plies her skills. Banks said that playing with Memorial against McHi and Rowe — where the highest levels of volleyball in the area are played— was special. 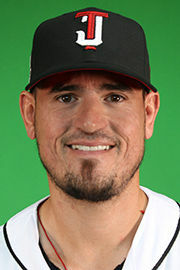 Miguel Peña pitched the series-clinching Game 5 of the Mexican League’s championship Serie Del Rey for Tijuana as the Toros defeated Puebla four games to one for the title. The series victory was the crown on Peña’s season, as the 26-year-old went 13-3 overall with a 2.89 ERA and 107 strikeouts in 133 innings pitched. It was the former La Joya High lefty’s second year with Tijuana, considered Triple-A level. The Toros’ stadium seats more than 17,000 fans. 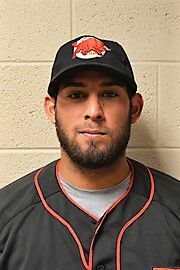 The Mexican League has dozens of former major leaguers on rosters, including Sharyland High alum Jorge Cantu, who is also on the champion Tijuana Toros. The 35-year-old Cantu, who has played for Tampa Bay, Florida, San Diego, Texas and other MLB squads in his 19-year career, batted .282 with 96 hits, 12 home runs and 55 RBIs in 2017. He also played a key role in the series victory for Tijuana. Our Lady of the Lake University senior Gabriela Guerrero is competing in her final year of cross country with the NAIA Saints. The history major recently placed 37th among 63 runners at the OLLU Invitational cross country meet with a time of 21 minutes, 8 seconds in the 5,000-meter race (3.11 miles). 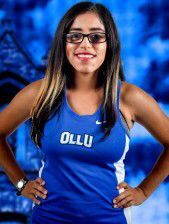 Last year, the McAllen Rowe product was part of OLLU’s cross country team that qualified for the NAIA national championships in Illinois. 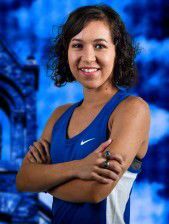 Also on the OLLU team is Port Isabel senior Ione Rodriguez. She finished 29th at the OLLU invitational on Sept. 9 with a 20:22. 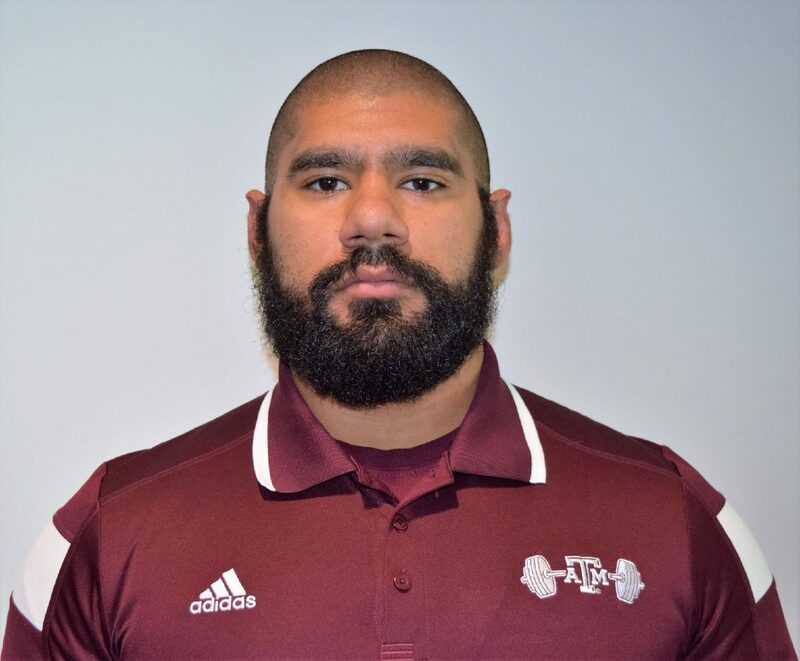 Powerlifting is a club sport (not an NCAA, school-sanctioned sport), but that hasn’t stopped Edcouch-Elsa 2014 product Benjamin Navares from excelling for Texas A&M. The junior sports conditioning major recently showed why he is among the nation’s most powerful lifters. At the International Powerlifting Federation World Men’s Championship in Orlando earlier this month, Navares — representing the United States — finished second overall in his division (93 kg) and claimed a silver medal. The nine points he piled up came from lifts in the bench and deadlift, and that helped the U.S. place first among the 19 countries at the competition. Roma native and Juan Diego Academy graduate Hector Gaona has scored one goal and added one assist this season for the Northland College Lumberjacks soccer team. Northland, an NCAA Division III four-year school in Ashland, Wisconsin, is on the banks of Lake Superior. Last year, Gaona played in all 16 matches and logged 1,157 minutes on the pitch. In 2016, he had two goals and two assists for six points off 43 shots. Northland is 3 1/2 hours north of Minneapolis, Minnesota and about 1,700 miles from the Rio Grande Valley. The Lumberjacks are 1-4 in 2017.